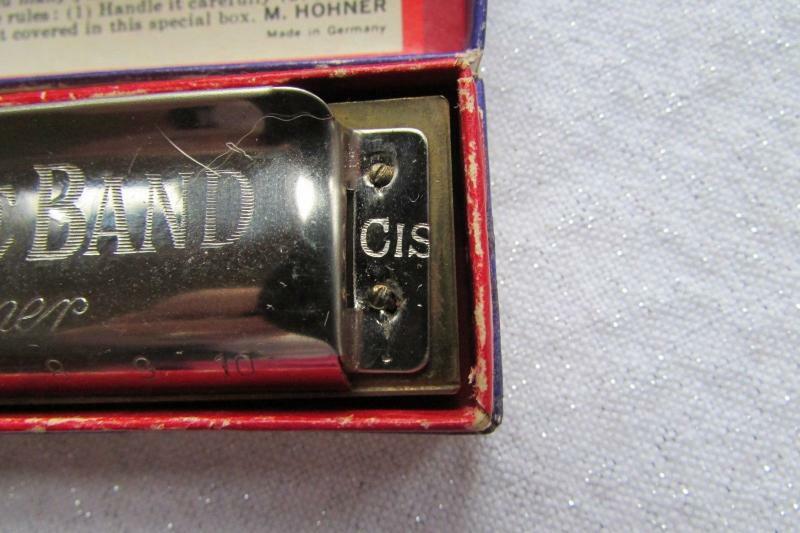 Where the key is usually stamped/ etched it has CIS. I'm not sure if it's and "I" or a "1". What can you tell us about this top secret harp. I haven't played it yet to be able to tell you about that. Hmm. Let me look into this Mike. I thought about C Ionian scale, but I'm not sure why they would put that on it. Thanks for your message. "-is" is a german suffix meaning "sharp", so Cis means C#. "es" is a suffix meaning "flat", so Des = Db. Fis=F#, Es = Eb, As = Ab, Ges = Gb, Ais = A#, and of course, B = Bb and H = B. "Dur" = Major, "Moll" = minor, so Cis-Dur = C# Major, etc. What threw me was everything about the box and harp were in English.